A hundred to a thousand…I want Xmas to come. Two posts in one day? O_O I wanted to play with this dress by Anya Ohmai, a 50L friday exclusive this week. The dress is a really simple, structured piece – a preview to her upcoming little project! It reminded me of an artist’s empty canvas, waiting for us fashionistas to dress it up abit =D Well.. it will be interesting to see how others mix and match this dress! Was in an xmas mood again today and decided to go with a wintery, fun theme. 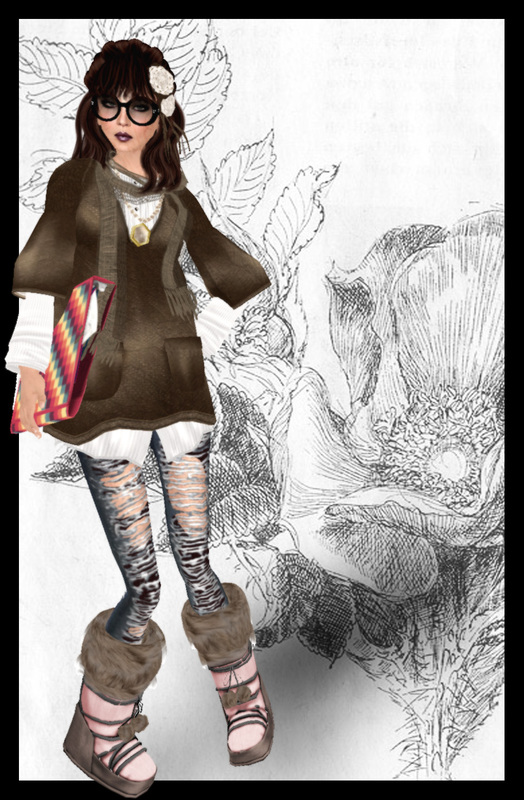 The tights are an upcoming prize from Duboo in the trash hunt over at starlust which starts tomorrow, i believe. The boots are an awesome creation from Beetlebones <3. Shirt: BP* bottan shirts/Bgreen (Drowsy Autumn Festivle) <3 tyvm bettie-san!